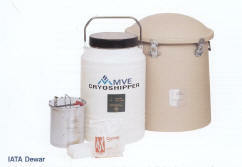 The MVE/Chart Vapor Shipper containers are designed for the safe transportation of biological samples at cryogenic (-150c)temperatures. 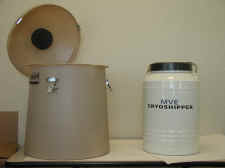 Fabricated from durable, lightweight aluminum, they contain a hydro-phobic absorbent that contains the liquid nitrogen. 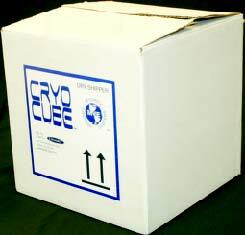 The absorbent also repels moisture and humidity, assuring the maximum holding time.